This is a die-cut Pilsner Volk Beer porcelain sign. This particular Pilsner Volk Beer sign is very colorful. 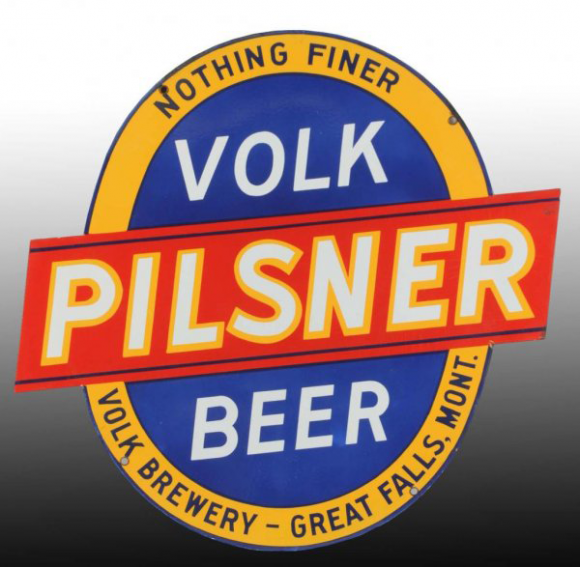 It reads, “Nothing Finer, Pilsner Volk Beer, Volk Brewery – Great Falls, Mont.” and features an orange banner against a blue oval with a yellow border.